Josh Reynolds was a star wide receiver for the Aggies. With 13 touchdowns in his first season, he broke the school record of 12 held by Jeff Fuller and Mike Evans. Reynolds was drafted in the 4th round of the 2017 NFL Draft by the L.A. Rams. 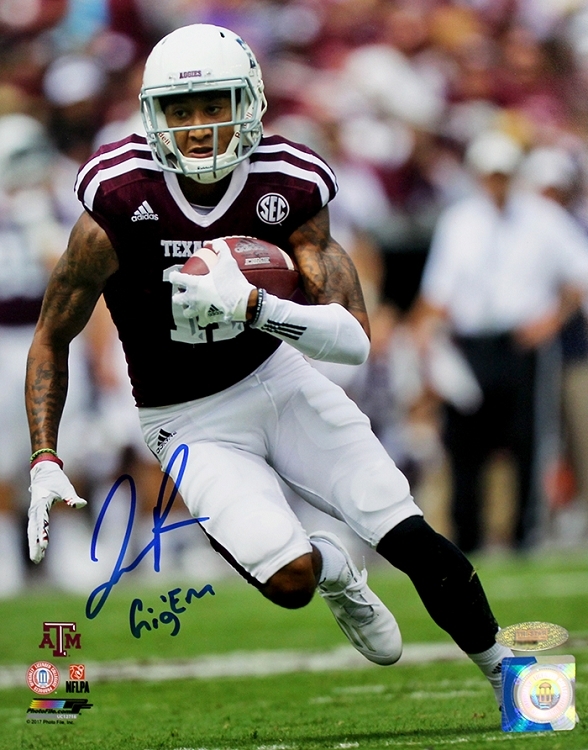 This Texas A&M Aggies 8x10 photo has been hand signed by Josh Reynolds. Each autographed photo includes authentication from TRISTAR Productions.